The wide spread belief that anything sautéed in butter with garlic is delicious. 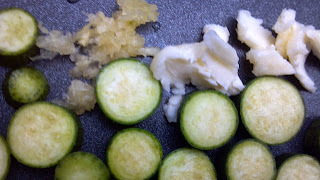 So that is how the luffa was cooked. When the thought of a strange new food is sooooo scary, drown it in butter. And garlic. Or just butter. 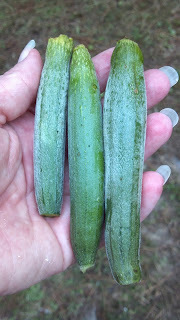 These are the luffa sponges we started with. They got sliced to disguise them a little. It's always best not to know what you are eating if you are afraid of it. Then I cooked them. With a lot of butter and a half clove of garlic. We didn't have anywhere to go that day. to cook some little luffa sponges which are in the squash family and don't hollow out and turn brown until they have ripened. The first two times I did not cook them soon enough and luffas, like most produce ripens quickly once it is picked. Within a couple days they were spongy. This time I took them straight from the farm to the cutting board and cooked them. They were not off the vine for half an hour before they were lounging in a hot bath of butter. All the better to eat you with my dear! They were pretty good. 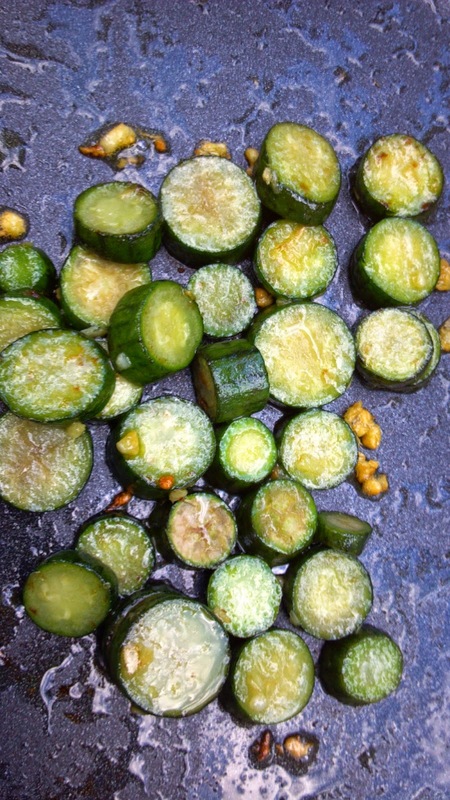 A lot like zucchini but less slimy. I've had much worse things served to me by people who claimed to know how to cook. I will make them again.